A diverse cadre of cannabis advocates filed a federal lawsuit Monday challenging the constitutionality of the Controlled Substances Act (CSA) as it pertains to marijuana. Attorney General Jeff Sessions and Drug Enforcement Administration acting administrator Charles Rosenberg were named as defendants in the lawsuit brought by a former NFL player, two children using medical marijuana, an Iraq War vet with post-traumatic stress disorder and a social justice nonprofit organization. The CSA’s classification of cannabis as a Schedule I substance — a designation reserved for the most dangerous substances including heroin, LSD and mescaline — is so “irrational” that it violates the U.S. Constitution, plaintiffs claim. The 89-page complaint, filed in the Southern District of New York by attorney Michael S. Hiller, further claims that the federal government does not believe and never has believed that cannabis meets or ever met the three Schedule I requirements: high potential for abuse, no medical use in treatment, and no ability to be used or tested safely, even under medical supervision. The lawsuit goes on to state that the 1970 CSA as it pertains to cannabis was enacted and subsequently implemented not to stop the spread of a dangerous drug, but instead to suppress the rights of African Americans and Vietnam War protesters. “The Nixon Administration ushered the CSA through Congress and insisted that cannabis be included on Schedule I so that African Americans and war protesters could be raided, prosecuted and incarcerated without identifying the actual and unconstitutional basis for the government’s actions,” the complaint states. The lawsuit seeks a declaration that the CSA is unconstitutional; a ruling in the plaintiff’s favor would not nullify the law, but instead put a permanent injunction against enforcement of the law as it pertains to marijuana. The five plaintiffs in the case are a diverse group of cannabis advocates from around the country. Retired NFL defensive end Marvin Washington of Dallas, a long-time cannabis legalization proponent, is suing because the CSA makes him ineligible to obtain grants under the Federal Minority Business Enterprise program to start a medical marijuana business. 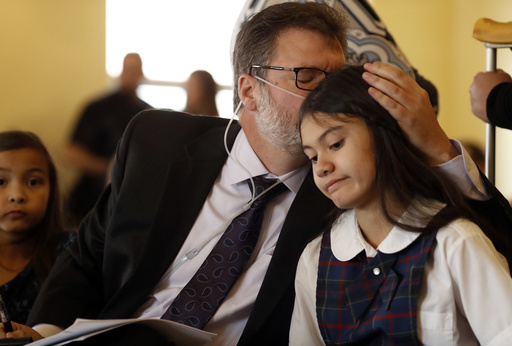 Alexis Bortell, 11, uses medical cannabis to treat her intractable epilepsy. Her parents — both military veterans — moved their family from Texas to Larkspur, Colo., so that she could access the medicine that her family says drastically improved her seizure condition. She is suing because the CSA restricts her ability to travel freely with her medicine and also because the federal illegality of cannabis forbids her from fully accessing the benefits due her as the child of a military veteran. When he was just 1, Jagger Cotte of DeKalb County, Ga., was put in hospice care, diagnosed with deadly Leigh’s Disease. His parents turned to medical cannabis with hopes of relieving his near constant pain and believe it has extended his life. Now 6, Jagger relies on medical cannabis and, like Alexis, is suing because the CSA takes away his right to travel by airplane or travel to or through states in which medical cannabis is illegal. Jose Balen, 34, of Seminole County, Fla., served in the U.S. Army and was deployed to Iraq for 14 months starting in May 2003. 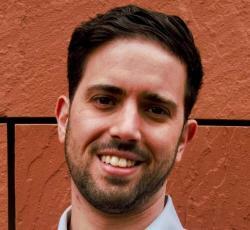 Today, he uses medical cannabis to treat PTSD, and is suing for the right to safely enter a military base, travel by airplane, and travel to states where medical cannabis is illegal. New York’s Cannabis Cultural Association is a 501(c)3 nonprofit helping marginalized and underrepresented communities engage in the legal cannabis industry; fighting for criminal justice reform; improving access to medical cannabis; and advocating for adult use legalization. The group contends that the CSA was enacted and enforced in a discriminatory manner historically targeting populations of color and today prevents them from participating in the legal cannabis industry.